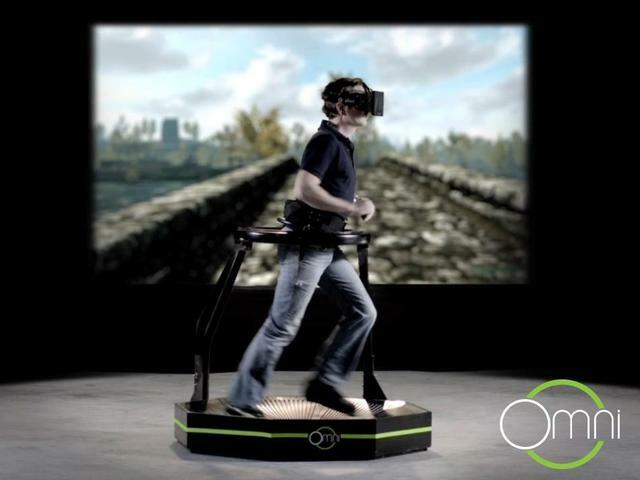 Omni is a virtual reality interface created by Virtuix that allows users to move freely in a video game by walking on the treadmill-like device, and is designed to work with the Oculus Rift virtual reality headset and controllers like the Razer Hydra. The Omni tracks a user’s movement with a special pair of sensor-equipped shoes that fit into grooves on the Omni’s surface. The project is currently seeking funding on Kickstarter, and Virtuix plans to ship the device in January 2014.